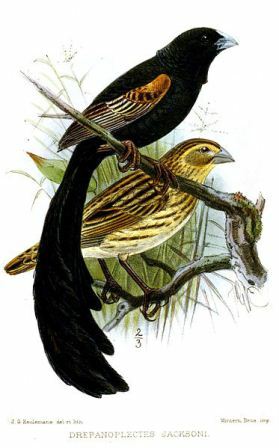 Eight weavers have tails longer than 100 mm, and these include the two Bubalornis buffalo-weavers and 6 widowbirds (males in breeding plumage). 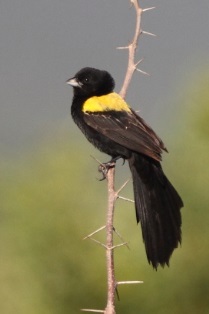 The tail length of the buffalo-weavers relative to their body size is not particularly large, however. 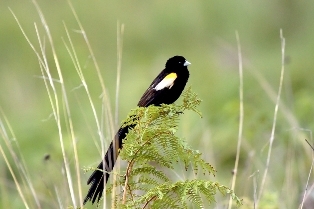 The Long-tailed Widowbird has the longest tail of any weaver, sometimes exceeding half a metre! 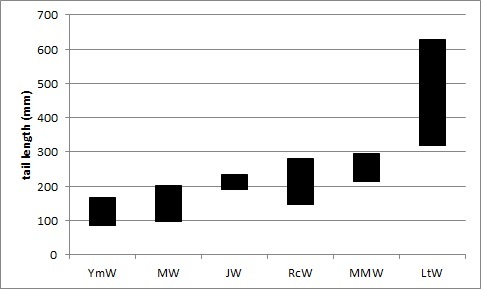 The figure (below) shows the minimum and maximum tail lengths of the 6 widowbirds, for males in breeding plumage only. 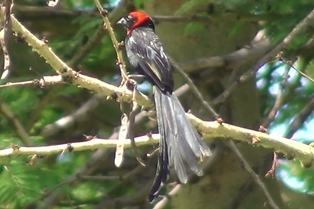 Several widowbirds have populations with different tail lengths, for instance the Long-tailed Widowbird in Kenya has the longest tail (416-628 mm), while it is shorter in southern Africa (319-499 mm).